This is meant to be more of an inspiration than a true tutorial. One guy, one time, one dress. This is the idea behind trash the dress. YES your wedding dress. I heard about brides trashing the dress is some fun fashion and taking pictures of it the day after the wedding. Well my wedding wasn't yesterday and there was no way I would fit into again. 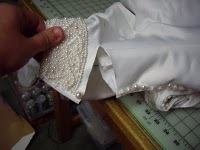 So I cut mine apart and am making multiple projects out the satin and beading. 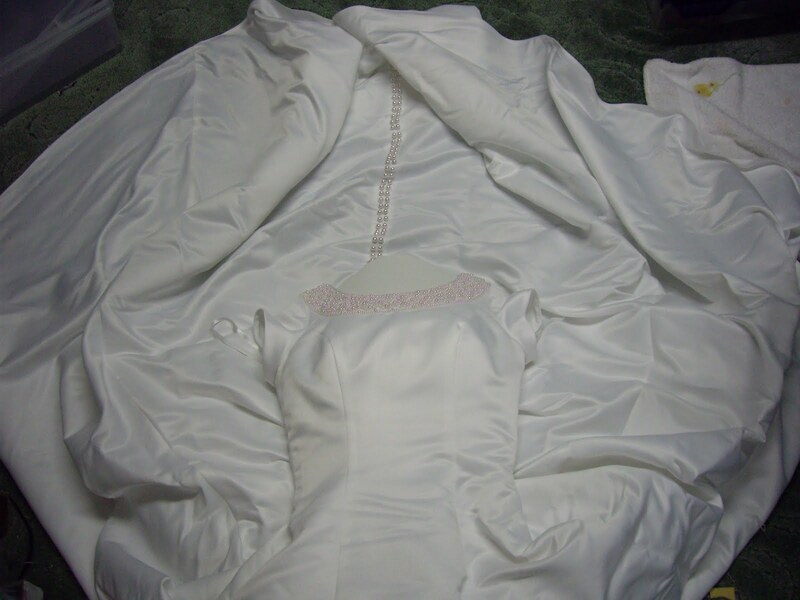 You know it is a pain to store the dress and even though we all hope our daughters will want to wear ours, that is not the case very often. So let me gently nudge you to this idea. The projects are unlimited but here is a photo journey of my trashing. The pillow and bag are not mine, They are my to do projects. I also made a picture from for my mom with the matting as the silk, a picture of my family now, and a rosette from the silk and beading. We are so excited for this event, so mark your calendars!! Saturday June 4th at 10:00 am Kim, Natalia, and Vanessa 3 famous Utah bloggers will be in our shop to sign "Fresh Fabric Finds" by Stash Books. 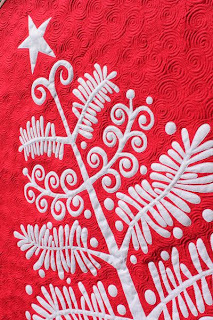 They each have patterns featured in the book and are fabulous quilters and bloggers. ( I have stalked their blogs for sometime!) We have loads of the book so come in and get your copy today ready for the big day! We will have the books 20% off this week only!! Come to the book signing and enter to win prizes for a pre-cut bundle, gift cards and a whole lot more!! 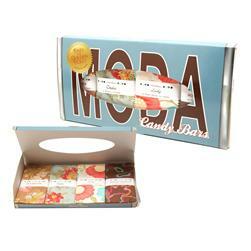 If you haven't heard of Moda candy bar boxes, you have missed out! It is a box of 4 different fabric lines that are pre-cut into 2 1/2 by 5 inch strips. If you bought one of the boxes you had a chance to find a golden ticket (kind of like Willy Wonka) but only better cause its Moda. 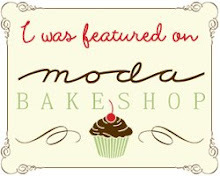 You win a goodie bag from Moda, (and I ask you who doesn't want that?) Then you are entered into a big drawing for a trip to Moda. Well, guess what these 2 ladies bought one from my shop and won!!! LUCKY!! If they win the trip to Moda, I might have to hide in their luggage. So congratulations ladies!! 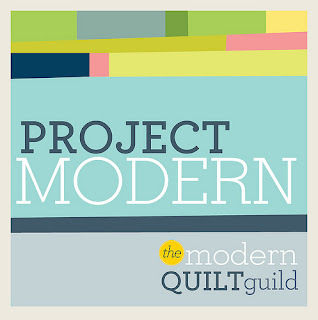 Finally, a blog for our South Jordan Modern Quilt Guild. It is officially up and running and we will be posting all the happenings for our group here. 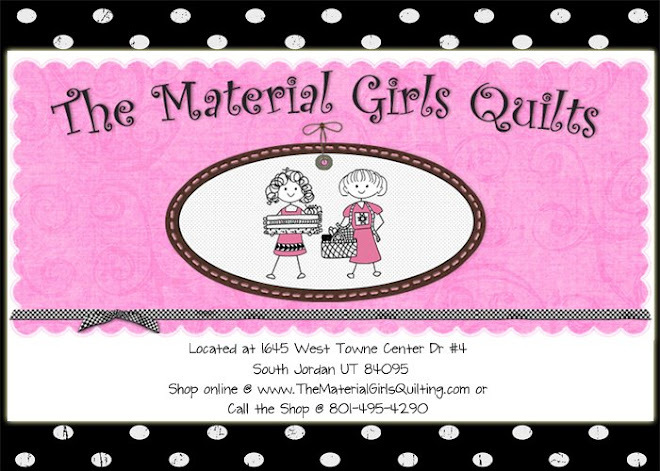 We will meet the third Tuesday of every month from 6-8 pm at the Material Girls Quilts shop. It's not too late to join so give the shop a call and we can give you the details. 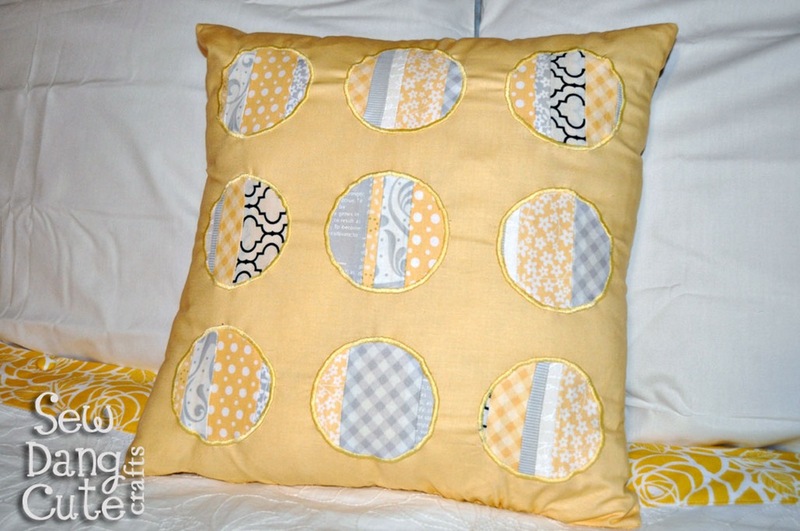 For the month of June we will be exchanging 18 inch pillow using one solid or more. We will post pictures of all the fun things we do! I love this pillow!!!! 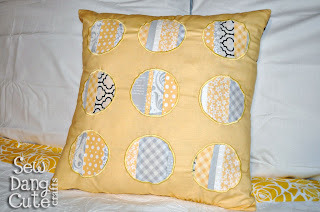 I am way into throw pillows lately and this was over on Moda Bake Shop A site which I spend way too much time on but, I feel like it's just research for the shop, or at least that is what I tell my hubby when he asks me how long I have been on the computer. 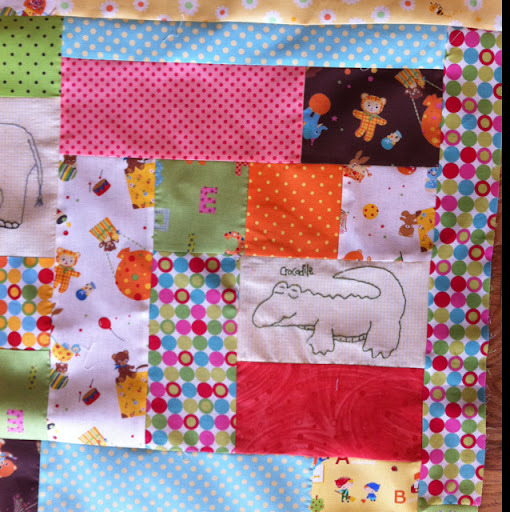 The designer sew dang cute Has a fun blog loaded with tutorials and ideas. Our Modern Quilt Guild is having a pillow swap next month so this is a great idea. If any of you are interested in joining we meet the 3rd Tuesday at the shop from 6-8. One of the hot trends at Market was laminated fabrics. Lots of the popular designers are releasing their latest lines in laminates as well as regular cotton. You can substitute laminate in any of your favorite patterns. I love it with bags, aprons, jackets and baskets. 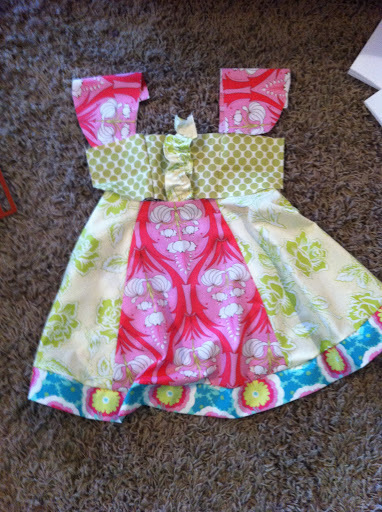 However, laminates are a little tricky to sew with so here are a few tips and tricks. • Use a longer stitch length. Even though lots of fabric will be available in laminate, your favorite piece might not be. But do not fret. Pellon makes a fusible vinyl that you can use to create your own laminate. Here are the tips and tricks for that product. 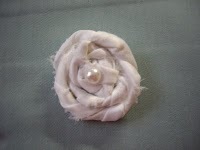 - Use scrap pieces of material to iron with. You will make a fabric sandwich. It will go Chosen fabric, laminate with sticky side down and then scrap piece of fabric. The scrap piece protects your iron from the vinyl. - Take your time. You need to let the iron sit in each spot for 10 seconds in order for the vinyl to adhere. If you don’t “melt” it enough the Vinyl will start to pull away as you sew. - For this melting reason I would suggest this method for small pieces only. 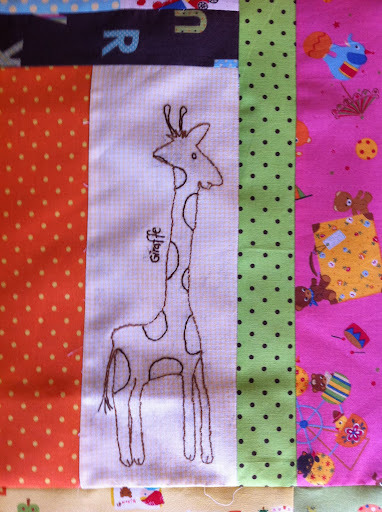 To do yardage would take longer than actually sewing the project. The project pictured is a bike basket from Hemma designs. 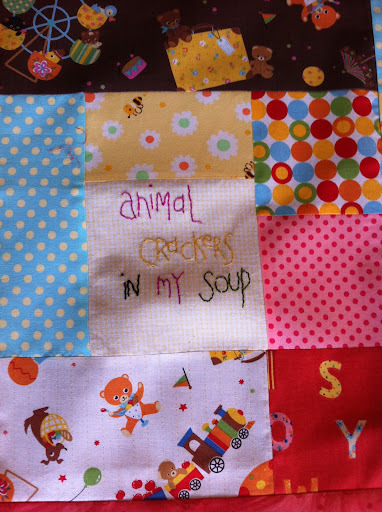 We have that and several other patterns in the shop. I have been working on this for a little bit , and things got crazy around here but I am happily to say it is off to the quilter! Yahooey! 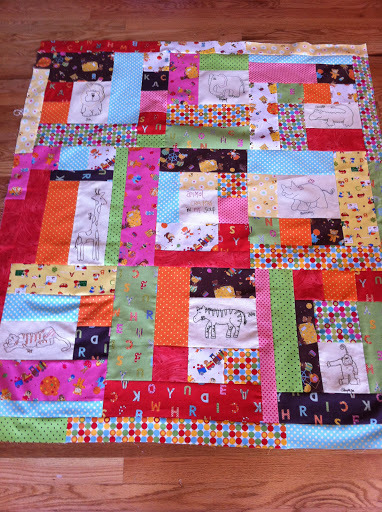 I love when I finish a project but then my mind starts flipping around to what to start next! Usually my list is long and have to do eineey meeny miney moe, a very scientific method I might add! So what's your next project? Okay, walking by this booth just brought a smile to your face!! Pam Kitty Morning's new line debuted at the Lakehouse booth and it was fantastic. It for sure has a home at the Material Girls, (we ordered a ton!!) Pam, Holly & Elizabeth let me hang with them and just being in the booth made me giddy. 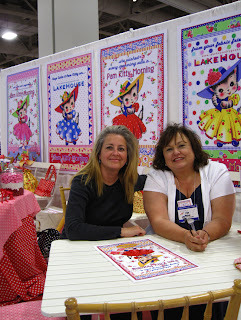 Okay, I'll be honest I was starstruck I mean really the PKM, Holly & Elizabeth from Late Bloomer Quilts. Yea I felt like a rockstar!! Thanks Ladies it was so much fun!! 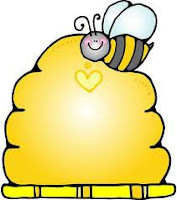 What can I say about Bee in my Bonnets newest patterns and fabric? It's FANTABULOUS that's what! We have several of her newest patterns in kits already and will get the rest done soon! 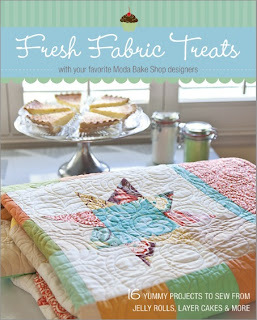 We of course have the entire line and all her new patterns just waiting for you at the shop! So, hurry down and get yours! This booth was one of my favorites. It is "Don't Look Now" from Australia. It was bright cheery and made me want to make one of everything. 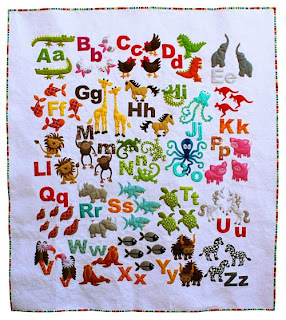 She has a simple method for applique which makes it not so scary We have carried her patterns in the shop for a while but we hurried and scooped up all her new ones! 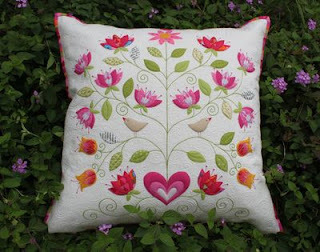 I have made one of the pillows and plan on tackling the "Tree" Boy, my "to do" list keeps getting longer and longer. Well, Spring Market has come and gone for another year. This year we were really lucky because it was held here in Salt Lake City at the Salt Palace. I am still kind of starstruck! I was fortunate to meet lots of blogging superstars, including Monica from Happy Zombie, Pam from Pam Kitty Morning, Vanessa from V & Co. and oh so many more. We also had the oppurtunity to spend an evening with Amy Butler and Heather Bailey. Of course I can't forget to mention that Jamie our wild and crazy girl was "Speechless" when she was around Joel Dewberry. We must have walked by his booth at least a dozen times, pretty sure his wife and him thought we were stalking them. I have loads of new things to show you. Patterns, fabrics, gadgets and a little of everything. I will be showing you soon so stay tuned its some good stuff!! Heather Bailey visited the shop on Friday evening. She was gorgeous and gracious, as always. 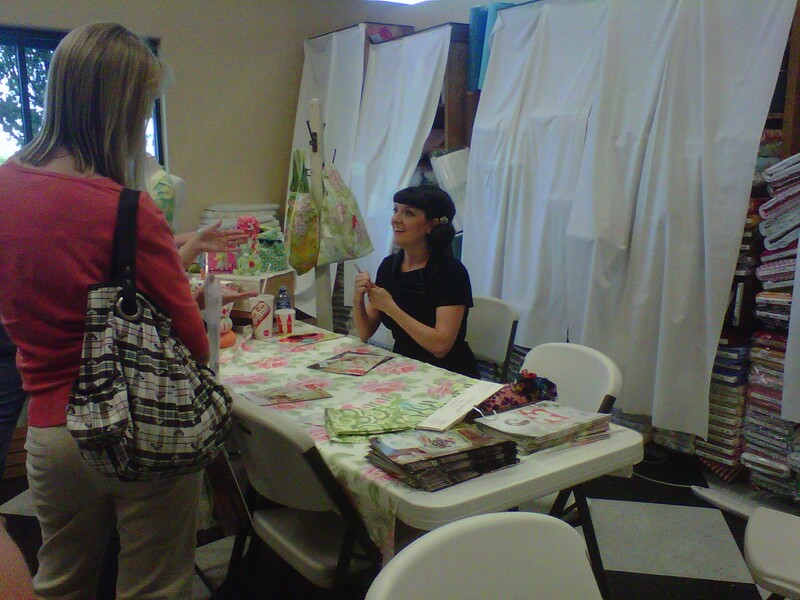 She showed her new line of fabric and chatted about her new stationary line. Thank you to all who came. And thank you to all who waited while Heather and her escorts were stuck in traffic. WE LOVE YOU HEATHER BAILEY!!!! Mark your calendars ladies, tomorrow Friday May 13. Heather Bailey will be doing a meet and greet at the shop from 6-8. We are so excited for Heather to come!! She visited the shop a few years ago and it was such a great time. I am excited to see all of her new designs which we will be seeing at Market and will be sharing with you soon!! Amy Butler you are the bomb!! I would like to tell everyone that came to see Amy Butler at the shop. "Thank You" It was amazing!! She was so gracious and so kind. It was wonderful! I want to be her new best friend! And also "Thank You" to Helen from Hugs and Kisses. She had everyone so excited about applique that I think that we might have to start a group of appliquers. So ladies "thank you" we so appreciated it!! Today is the big day. Amy Butler will be at the shop from 5 to 7 pm today. We are having a give away, actually 2. 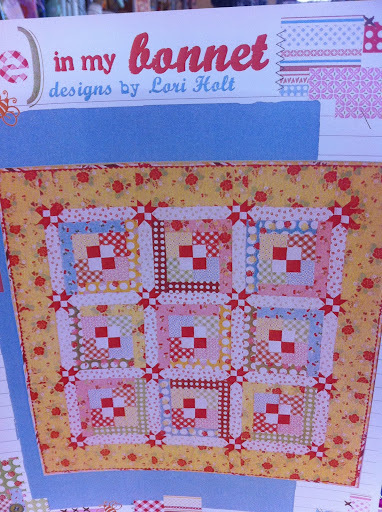 We will give 2 three packs of Amy Butler patterns away. All you have to do is come in while Amy is at the shop and enter the drawing. 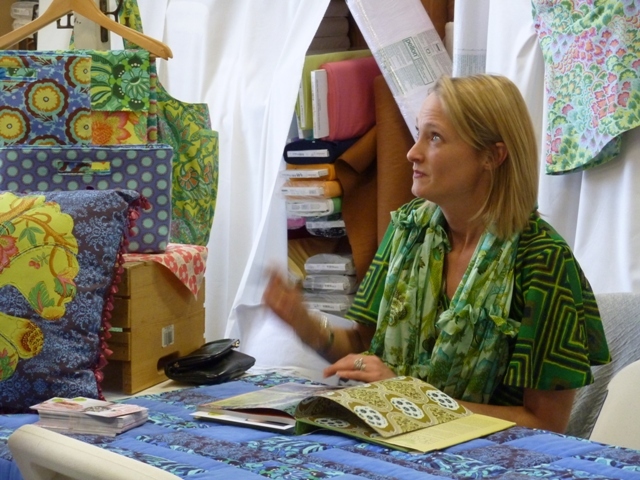 Also Helen, a very cool Aussie, will be teaching an applique techinque from 12 to 2. The technique is amazing. We promised you some special visitors at the shop and we hope that you will not be disappointed. Tuesday May 10th, that is tomorrow, AMY BUTLER (yes THE Amy Butler) will be at the shop from 5 to 7. 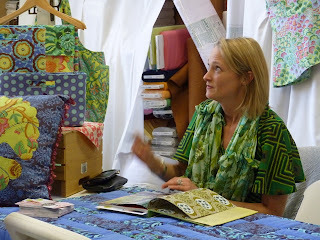 Her trunk show arrived at the shop last week and her stuff is fabulous, as always. 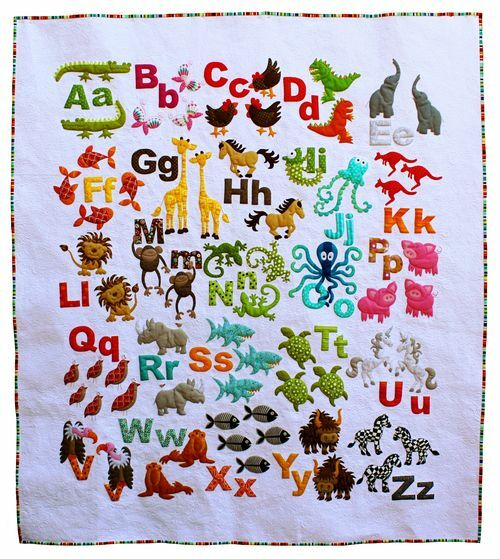 HELEN from Hugs and Kisses is teaching her applique method from 12 to 2. This method will make you scaredy cats convert over. Even Nadine is going to start a new project using this method. 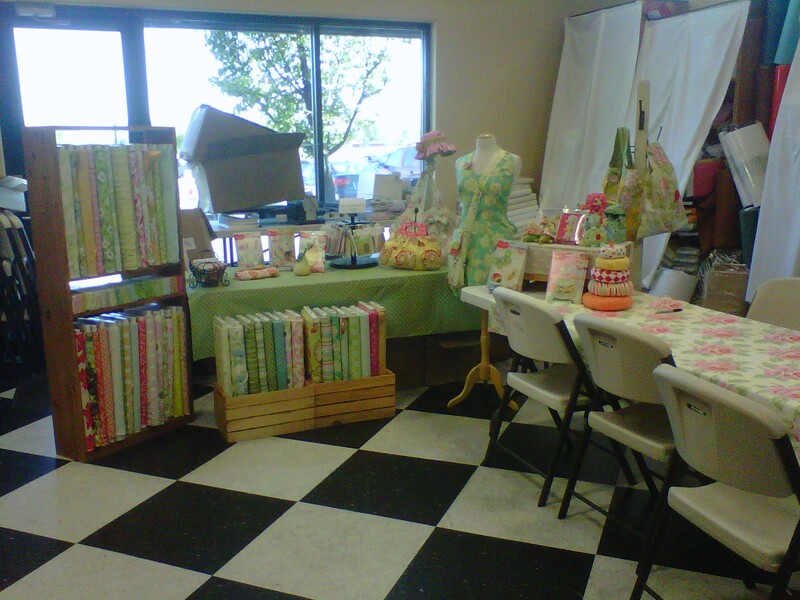 On Friday May 13th HEATHER BAILEY, will be at the shop from 6 to 8pm. We have had her in before and she requested to come back. We love both of these woman and are super excited to have them come to the shop. Make sure to stop by and say hello. 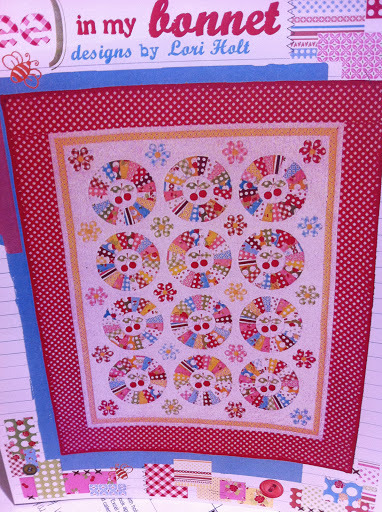 HMQS "Home Machine Quilting Show"
If you are looking for something to do this week. Tomorrow (Thursday May 5 thru Saturday May 7) the Home Machine Quilting Show is happening at the South Towne Expo in Sandy, Utah. 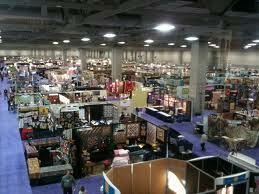 I will be one of the many vendors at the show, along with an incredible display on some beautiful quilts. We are VERY sad to announce that Kellie from Don't look now will no longer be coming to the shop. There was a scheduling conflict we couldnt get past. We are thankful for her willingness to come and extremely sad taht we couldn't work this out. However, please stay tuned cause there are other designer announcements that will make you just as happy that will be announced in the next few days. 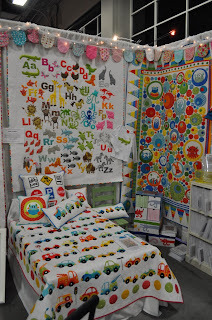 With the home quilt show and quilt market happening in the next two weeks we are busy readying the shop can playing hostess to several designers. With this the tuesday tutorials will be on hold until I get my head back together. But make sure to check back often since we will be updating about market and the special guests coming to the store.